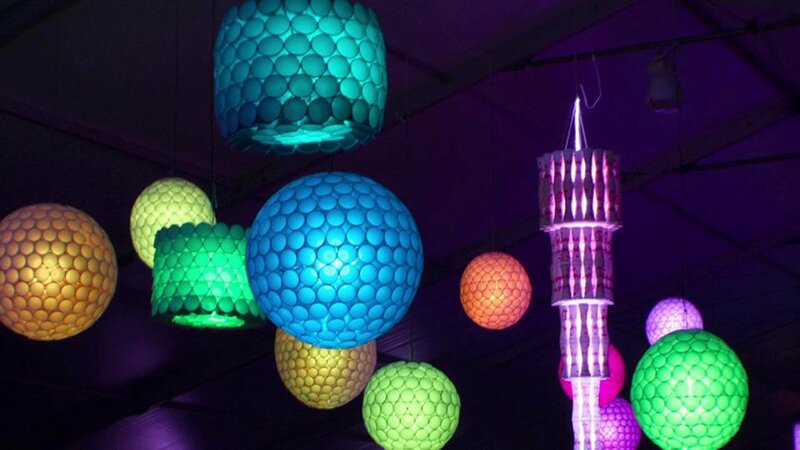 Celebrate summer at Chalk L.A. with L.A. Design Festival’s Tacos, Tequila & CANLOVE party. Whatever the reason, you will want to clone yourself and/or quickly invent time travel to experience all of the fun scheduled for the weekend. And so is this weekend. Tacos, Tequila & CANLOVE at Chalk L.A.; L.A. Design Festival. Tequila and tacos are pretty much a party all by themselves. Tequila, tacos and dublab beats in a cutting edge design studio? Lock that date in, pronto. Tacos, Tequila & CANLOVE is the official after-party of the L.A. Design Festival‘s Design Hooky West tour but your free RSVP (don’t delay!) gets you into the stand-alone bash at Chalk L.A.: the design studio/creative collective of DJ Neff and Paul Ramirez. 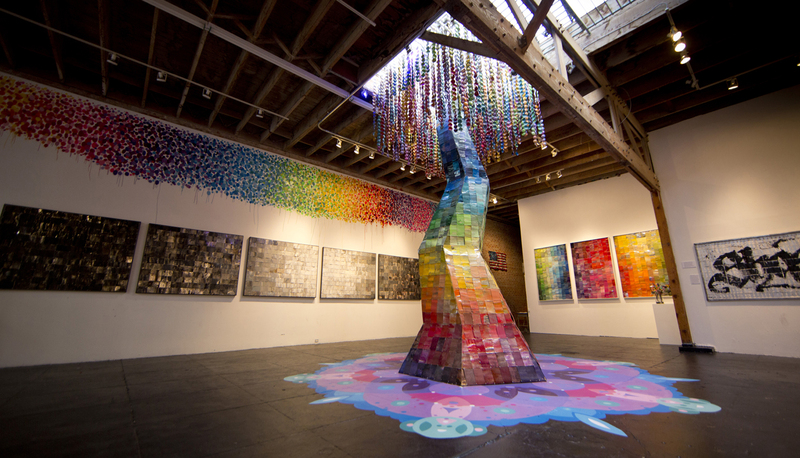 Get inspired by the oeuvre of the CANLOVE duo, which transforms discarded spray paint cans into art (see tree above right). Make your own mark on Chalk L.A.’s interactive art wall or take home some CANLOVE to hip up your home walls. Helpful hint: you might need a car rack for that tree…. Will women lounge on snakes at LA di DADA? According to one theory, the name of the Dada art movement was chosen at random by stabbing a paper knife in a German-French dictionary. The point allegedly landed on the French word for “hobbyhorse”. Go Go’ers, knives may or may not make an appearance at Saturday’s LA di DADA but you’ll get the point..
Or maybe not since Dadaism embraces irrationality, nonsense and chaos above all. Not to worry; you’ll be swept up in the word and play generated by a deep roster of fiercely original talent including: outlaw creative Exene Cervenka (X, the Knitters); L.A. Dadaists Mike M. Mollett and Neal Skooter Taylor; and performance poets Linda J Albertano and Laurel Ann Bogen who (with legendary Suzanne Lummis) comprise two-thirds of the infamous Nearly Fatal Women. Actually, do keep an eye out for knives. Also at the Beyond Baroque event, Three Rooms Press presents the West Coast launch of Maintenant 8: Journal of Contemporary DaDa Writing and Art (2014), which features 100 literary and visual artists from around the world. 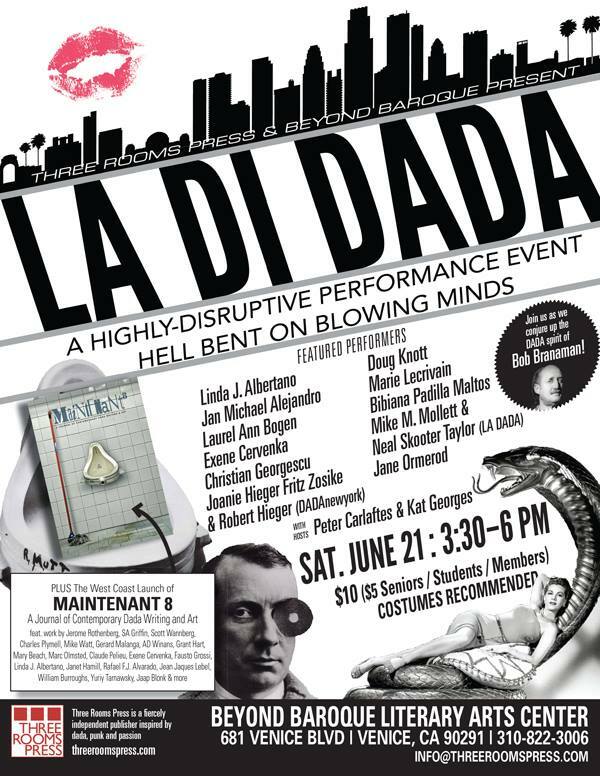 LA DI DADA — Sat, June 21, 3:30-6:00 pm. $10 GA; $5 seniors/students/Beyond Baroque members — Beyond Baroque Literary Arts Center, 681 Venice Blvd, Venice 90291, 310.822.3006. For reservations/more info, email info@threeroomspress.com or go HERE. Chill at the Page Museum’s Ice Age Hair Ball. 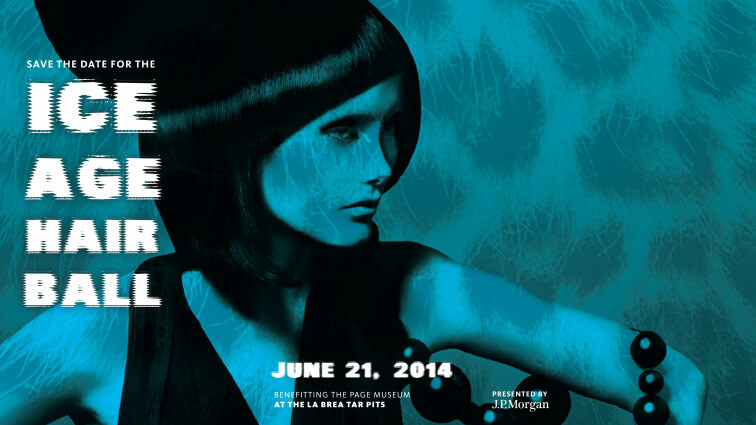 It’s time to break out the prehistoric hair pieces and woolly mammoth wigs; the Ice Age Hair Ball will be turning heads this Saturday at the La Brea Tar Pits. Designed to raise funds (as well as hair) for the Page Museum, the Pleistocene-themed do will feature Torchlight Tours of the Tar Pits, including the Observation Pit, which is open for the first time since the ’90s! Keep your cool on the dance floor with gratis icy adult libations and other frosty beverages as well as food truck desserts for your sweet (saber) tooth. 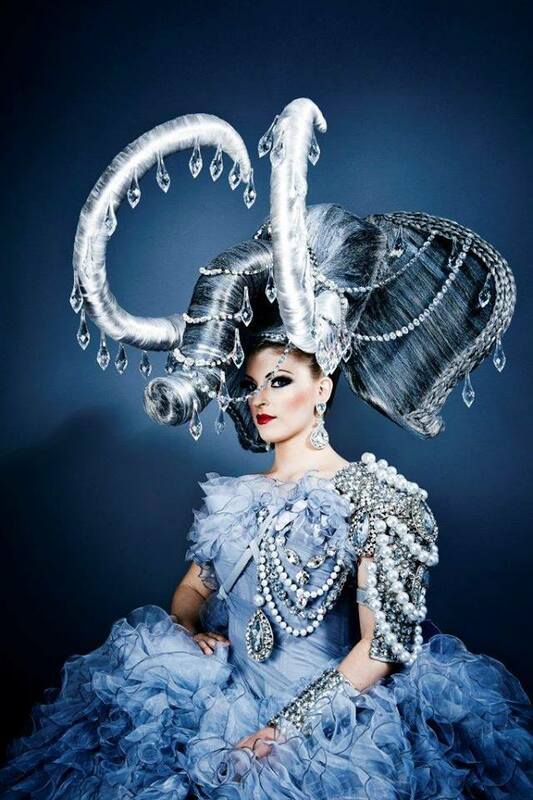 Don’t skimp with the hair spray; celebrity stylist Kim Vo and Hair Ball guests will judge hirsute creations inspired by Ice Age mammals. (Chignon with mastodon tusks, anyone?). The winning do’s will be awarded prizes. And if your hair is naturally more rat’s nest than haute coiffure, embrace the mess and throw on an oversized rodent. You may win a prize for bravest headbanger. LA 90036, 213.763.3499 For more info/buy tix HERE. A trunk full of fun at the Page Museum’s Ice Age Hair Ball at the La Brea Tar Pits.